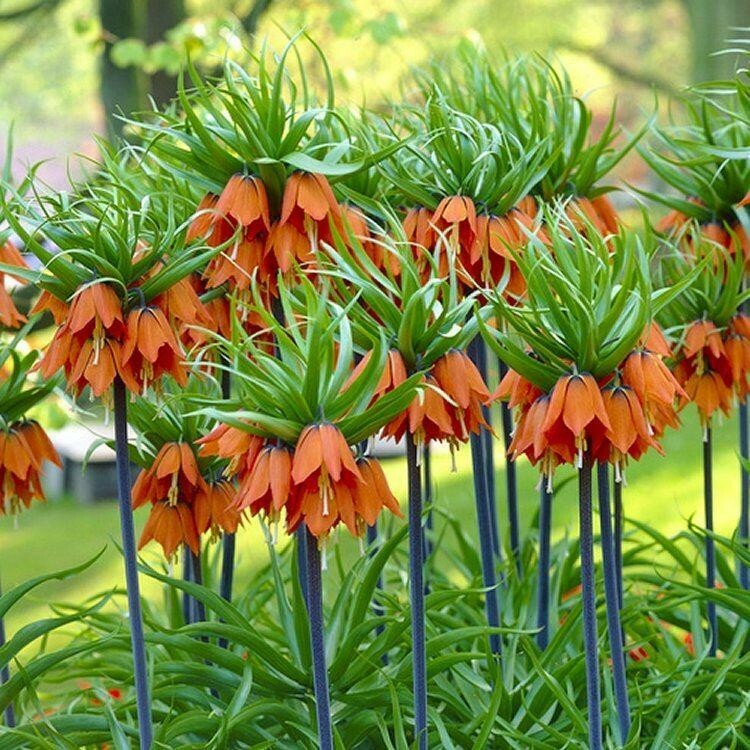 One of the most striking and dramatic plants you will ever grow, the impressive Crown Imperial Fritillary has a highly exotic appearance yet is fully hardy and easy to grow. 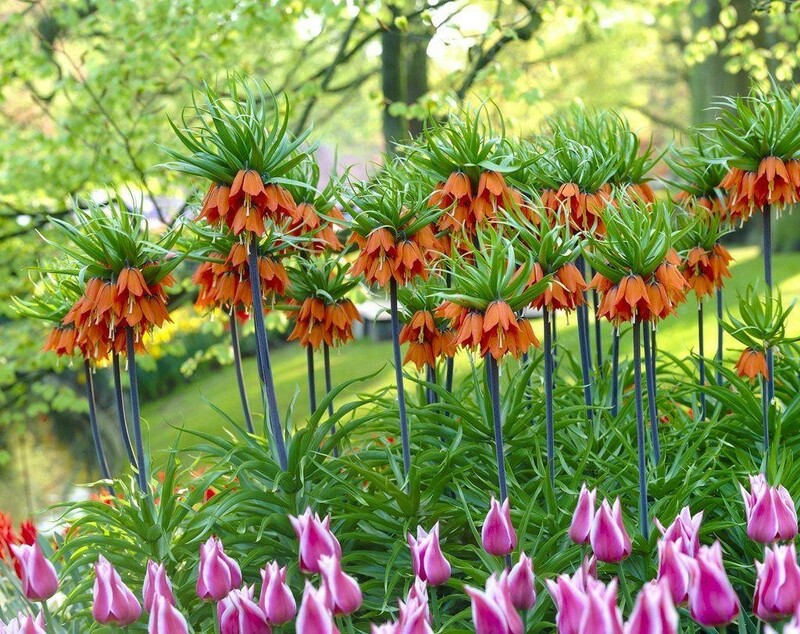 Reaching a statuesque 100-120cms tall, Fritillaria imperialis produces majestic crowns of vibrant orange-red, bell-shaped flowers, topped with a crown of green foliage from mid-spring. Planted at the back of borders, Fritillaria imperialis will certainly catch the eye with its towering, statuesque stems. The pendulous flowers make a bold statement in the garden being a bright colour combined with flowering early it the year, no wonder it was one of the first plants ever tobe cultivated, bought to European shores, Clusius introduced this majestic plant to the Netherlands as early as the 16th century. The plant is found in such locations as Turkey, Iran and Afghanistan in the wild. Just a few stems of this incredible plant cut for a vase will make an indoor arrangement that will stop people in their tracks, or simply enjoy a real spectacle in the garden. Supplied in approx. 1 litre containers.